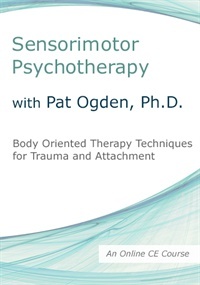 Pat Ogden, PhD, is a pioneer in somatic psychology and both founder and education director of Sensorimotor Psychotherapy Institute®, an internationally recognized school specializing in somatic–cognitive approaches for the treatment of post-traumatic stress disorder and attachment disturbances. 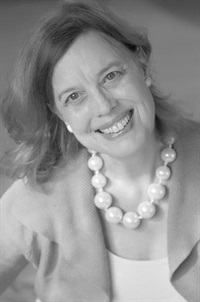 She is co-founder of the Hakomi Institute, past faculty of Naropa University, a clinician, consultant, international lecturer and trainer, and first author of Trauma and the Body: A Sensorimotor Approach to Psychotherapy. 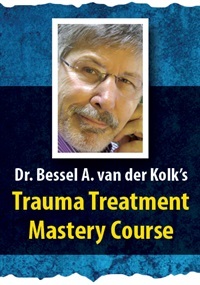 Her second book, Sensorimotor Psychotherapy: Interventions for Trauma and Attachment (2015) is a practical guide to integrate Sensorimotor Psychotherapy® into the treatment of trauma and attachment issues. Dr. Ogden, with colleagues, is currently developing Sensorimotor Psychotherapy® for children, couples and families. Financial: Pat Ogden is in private practice. She receives a speaking honorarium from PESI, Inc. Non-financial: Pat Ogden is a member of the American Psychological Association.